I am currently testing the possibilities of using UML representation of a class. In my class, I have included another class. 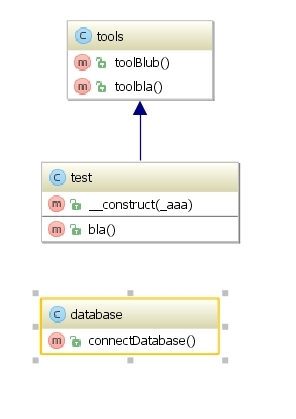 Why this class in the UML diagram is not displayed? As far as I understand diagram from your attachment represents your code correctly. Please, could you explain what class is not displayed in the UML diagram. I guess, you added one more class to the file and it didn't appear in a diagram, didn't you?